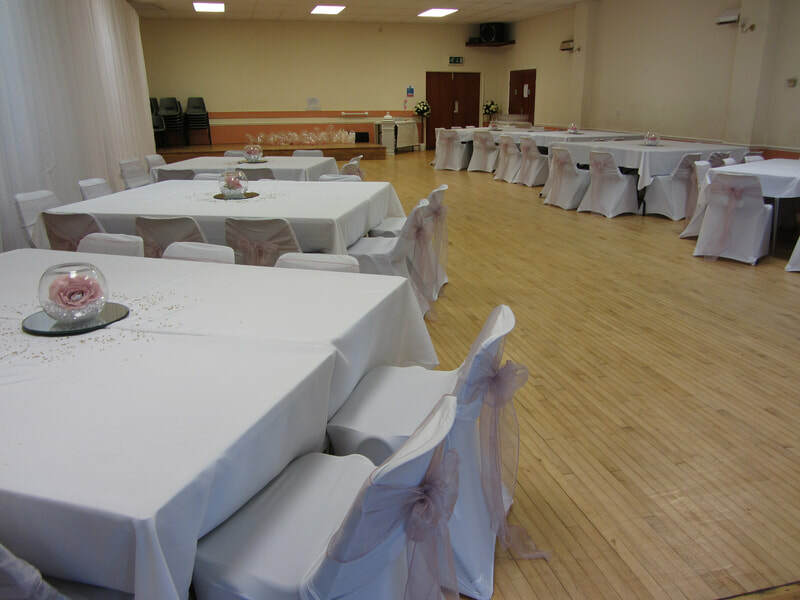 This is an ideal location for wedding receptions, christening celebrations, parties, etc. 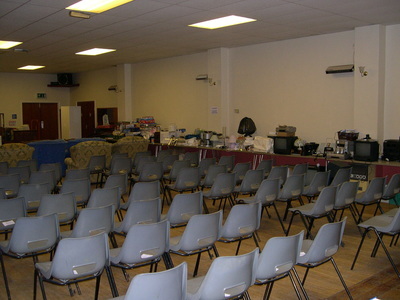 ​has a capacity of 200, with a seating capacity of 120 for functions for seated audiences. 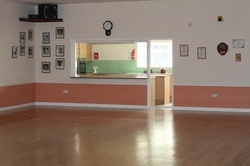 It has a sprung wooden dance floor and there is a raised stage area for discos and live performances. ​There are wall mounted speakers can be used with an amplifier and jack plugs. 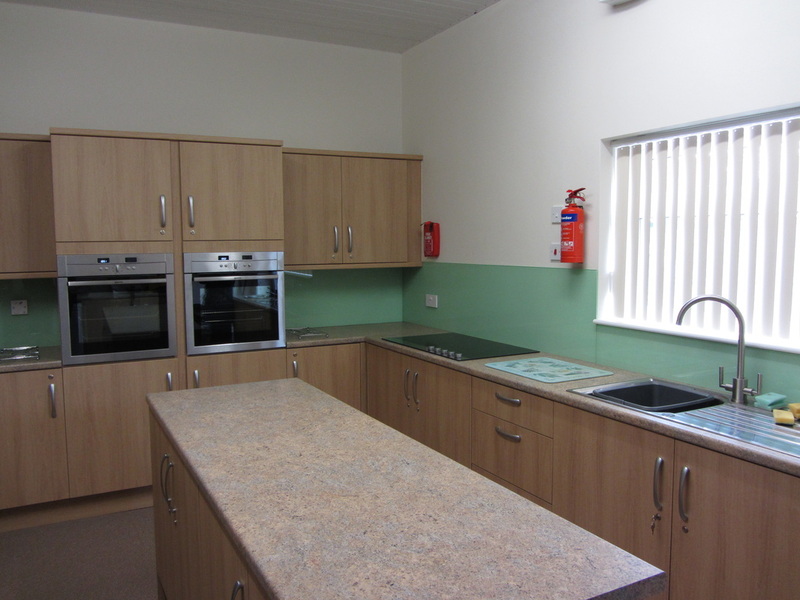 There is a shuttered hatchway to the adjacent kitchen - recently refurbished. 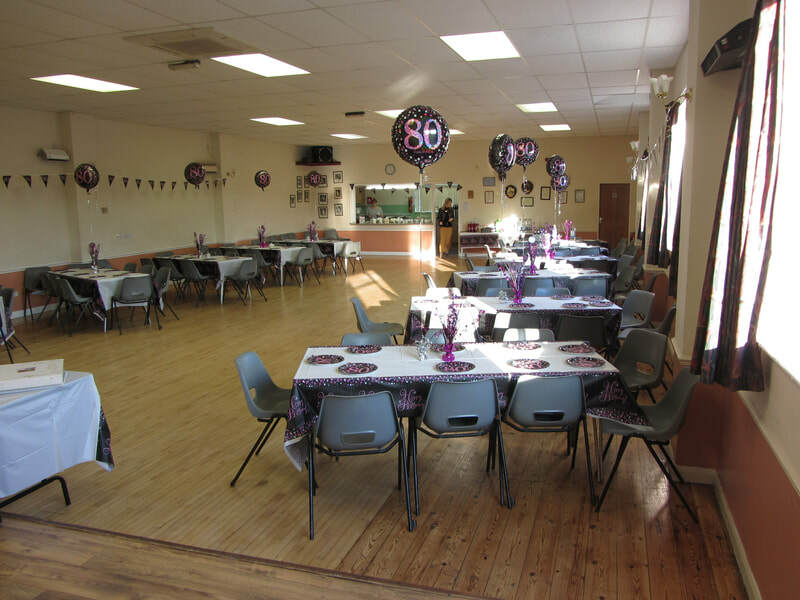 For large functions a marquee can be erected on the field. 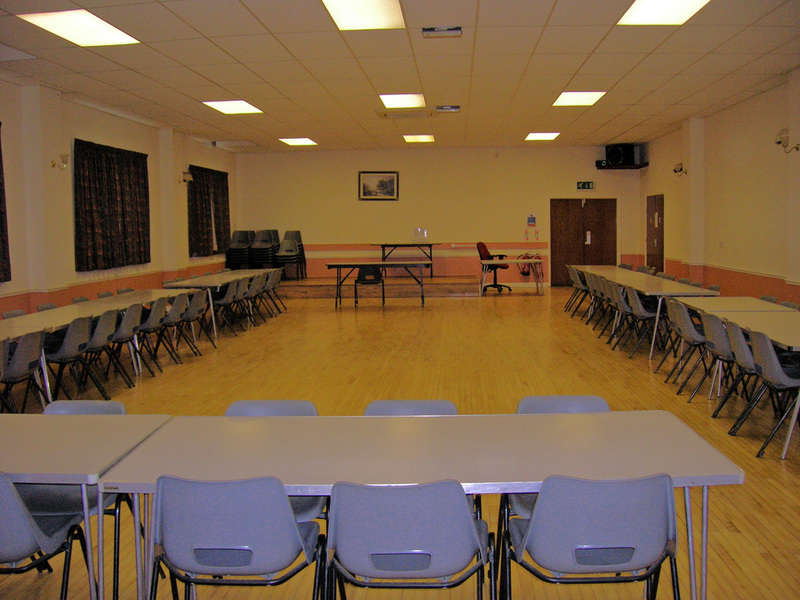 ​is ideal for formal meetings, training sessions and informal group meetings for up to 50 people.